Great recruiting content is essential for talent attraction. Are you breaking through the digital noise? 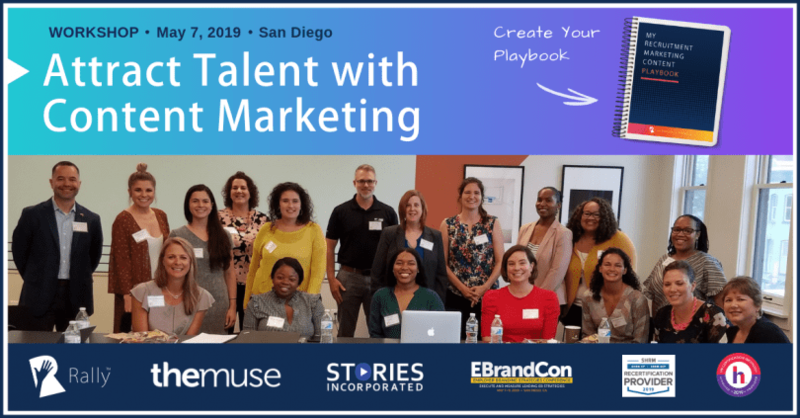 Join us for a one-day workshop on May 7, 2019, at the Omni San Diego Hotel, where you’ll create your Recruitment Marketing Content Playbook for attracting top talent. You’ll be working hands-on with our expert instructors to develop content for your employer brand, careers website, social media channels, digital marketing campaigns and talent pipeline. 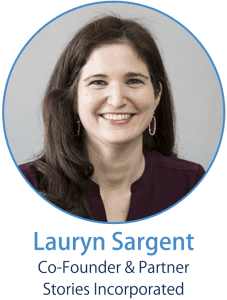 We’ll take you from content strategy to content creation in just one day! 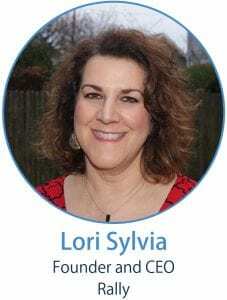 Approved for 5 PDCs from SHRM and HRCI. 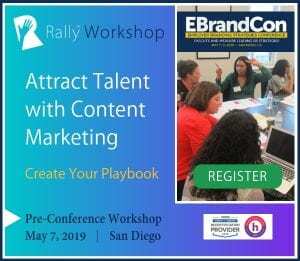 Note: The workshop is being held the day before the EBrandCon conference. Use discount code RALLY20 to save 20% off the workshop and/or the conference. Registration is through the EBrandCon website. 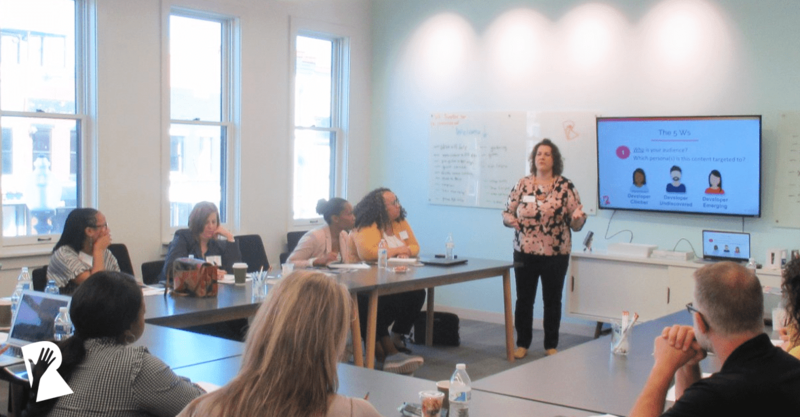 Conduct hands-on exercises to create a candidate persona and map out a 3-touch content campaign, so you can hit the ground running! 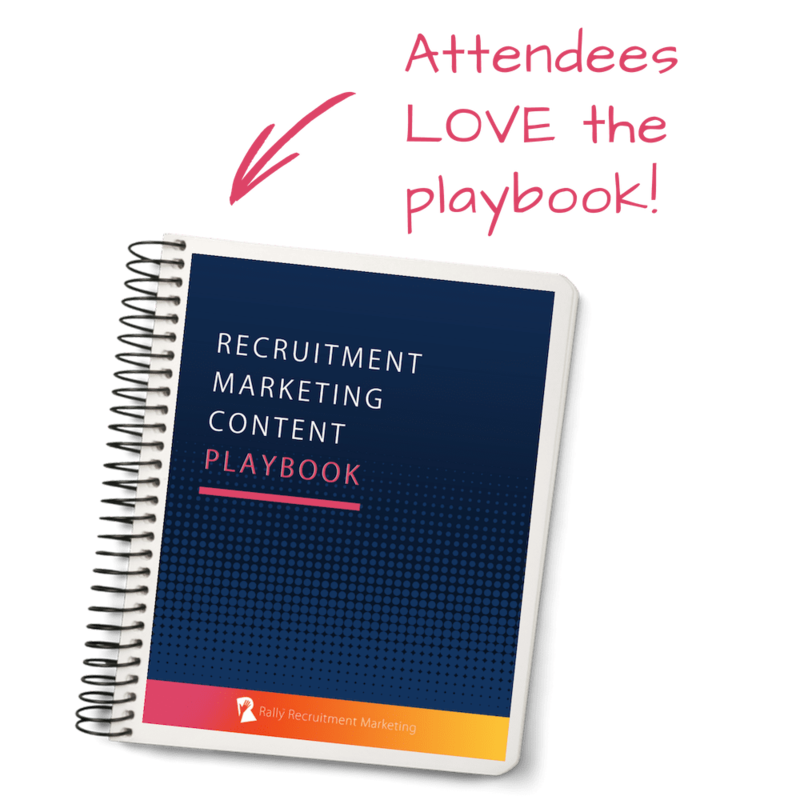 Why Create a Recruitment Marketing Content Playbook? 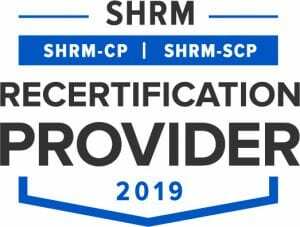 This program is valid for 5 professional development credit hours for the SHRM-CPSM or SHRM-SCPSM. 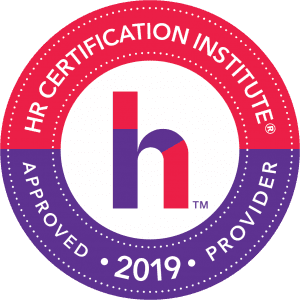 This program is valid for 5 HR (General) recertification credit hours toward aPHR™, PHR®, PHRca®, SPHR®, GPHR®, PHRi™ and SPHRi™ recertification through HR Certification Institute® (HRCI®). Stories Incorporated and The Muse are sponsors of Rally. Their sponsorship fee helps us to create educational content and events on Recruitment Marketing.